July 14 to 21, 2019 | ...only 2 Apartments available! Gather your family and a few friends to take over the farmhouse or join us for our Family Week! The stone farmhouse also houses the cooking school and other apartments which most likely will be filled with guests. Your apartment, named Ciliege (cherry) after the fruit grown on the farm, has a rustic style to match the surroundings - wood beams, tiled floors and stone walls. It is equipped with its own kitchen and espresso maker so you can self cater. Both of the bedrooms are ensuite, so you don’t need to share a bathroom with your children! Outside of the sleeping accommodation, there is a lovely pool which is shared between you and the other four apartments. 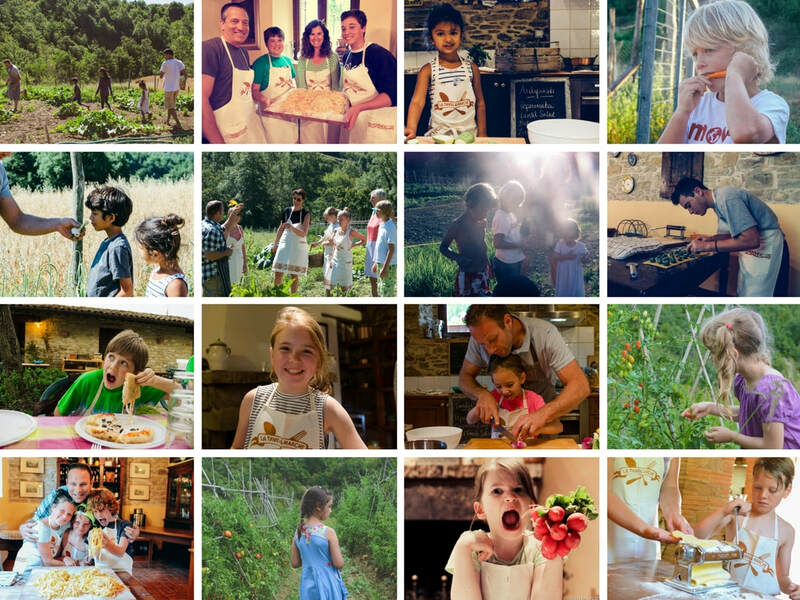 Family Cooking Class - request a cooking class for the family - pasta & sauces or the 3 course lunch menu! 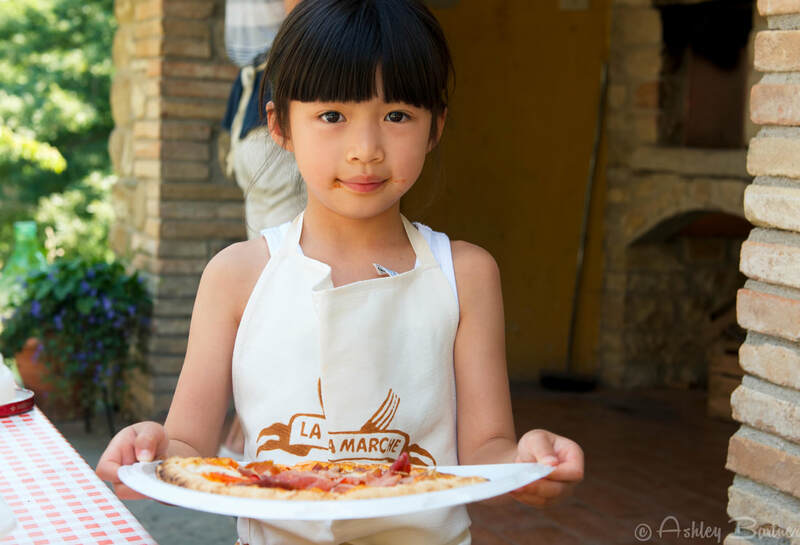 Quiz Nite & Apertivi - Gather together for family fun the evening of the market tour for a fun quiz night on all things Italian! Includes light snacks & house wine. Pricing - starts at 2200 Euro for Family of Four (2 adults + 2 kids under 12 years old). If you have a smaller or larger family just inquiry for the proper pricing.